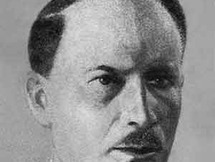 Boris Mihailovich Iofan (April 28, 1891–1976) was a Russian Soviet architect, known for his Stalinist architecture buildings like the 1931-1933 winning draft of the Palace of Soviets. Iofan graduated in 1916 from Italy's Regio Istituto Superiore di Belle Arti in Rome with a degree in architecture, initially following in the Neoclassical tradition. His first major work was a Barvikha sanatorium for Party elite (1929), which exposed him to the top state clients. In 1931, Iofan completes the elite block-wide House on the Embankment. The structure, containing 505 apartments, two theaters and a cinema. Boris Iofan was a lifelong resident in this building. Iofan's entry to the Palace of Soviets competition won in 1932, but the project was abandoned during the construction phase with coincided with WWII. 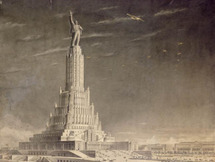 Iofan also designed the Soviet Pavilions at the World Expos in Paris (1937) and New York (1939). At the Exhibition in 1937, Iofan was awarded the Gold Medal together with Albert Speer who designed the German Pavilion. The two pavilions faced each other in the Exhibition. The Soviet pavilion featured a larger-than-life statue of a worker and a a farm girl created by the sculptor Verena Mukhina. 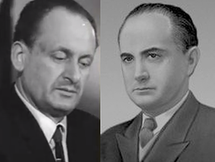 Later, Iofan bid for the Moscow State University skyscraper project in Moscow (1947), but the commission was awarded to Lev Rudnev. In his late years Iofan was nominated People's Architect of the USSR.